List Rules Vote up the inaccuracies that would make even the stoic Jeff Goldblum reel backwards in surprise. Another day, another lie from Hollywood. 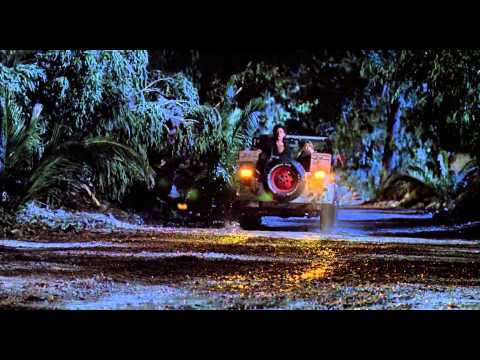 Inaccuracies in the Jurassic Park movies abound, and the biggest scientific errors glare at you with the intensity of a T.rex staring down two kids trapped in a car. As crazy as it sounds, Steven Spielberg never tackled the film with the intent a National Geographic-worthy film. From the original movies and pre-glam Laura Dern to Bryce Dallas Howard running from a dinosaur in heels (seriously, when will women in movies wear reasonable shoes? ), the popular film saga takes plenty of artistic liberties when it comes to even the simplest dinosaur facts. The biggest scientific errors in Jurassic Park sound surprising, until you recall most sci-fi movies employ bad science. The Jurassic Park series plays the same game, adding traits to dinosaurs that range from bada** (venom spitting) to bizarre (sneezing). But inaccuracies in these films include more than just what Jurassic Park gets wrong about dinosaurs; their "rules" on fossils and genetics unravel faster than strands of DNA encased in amber (yep, even the insects lied in this film). But don't let the Jurassic Park movies's sci-fi lies get you down. The world will always have Chris Pratt's abs... unless those were CGI, too. The velociraptor stands as possibly the most famous dinosaur in the Jurassic Park franchise. 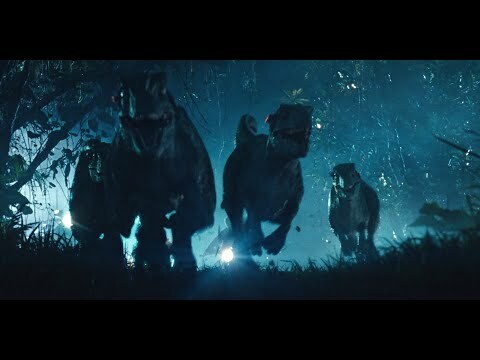 From terrorizing kids in the classic kitchen scene to becoming Chris Pratt's BFF's in Jurassic World, the raptors go through enough character developments that some executive probably proposed a raptor spin-off called Jurassic Park: Enter the Dino. Sadly, pretty much all of Spielberg's ideas about the raptor hold little to no scientific ground. Velociraptors grew to be about the size of a turkey, weighing in around 30 pounds. Continuing with the avian themes, the raptors should appear to be more bird-like and sport some feathers. And though they ate meat, they were not ferocious killers. At 30 pounds and the size of a turkey, the raptor would not live up to the agility they display in the films. Their top speed likely clocked in around 40 miles per hour - still fast, but not fast enough to be racing alongside Chris Pratt and his motorcycle. One new detail in particular makes the T. rex much less terrifying... and makes the Jurassic movies even more ridiculous. According to science, if the T. rex ran as quickly as it does in the movies, it legs would break under its body weight. Not cool, bro, especially since those stubby arms would never break a fall either. Scientists with nothing better to do used some fancy computer modeling to discover "that true running gaits would probably lead to unacceptably high skeletal loads in T. rex." So, instead of traipsing around at 45 miles an hour, the T. rex likely ran around a speed of five-to-15 miles per hour. You could have escaped! The conditions needed for scientists to clone dinosaurs require more than just a piece of amber and Richard Attenborough's sheer willpower. The mosquito would have to be female and consume a ton of blood, only to immediately be encased in tree sap following its feeding. Even if DNA gets perfectly preserved, extracting an uncompromised DNA sample stands as a nearly impossible task. Furthermore, the insects used in the film arose well after the dinosaurs become extinct. In 2017, scientists came somewhat close to a real-life Jurassic Park experience when they found a tick preserved in amber - along with a feather. 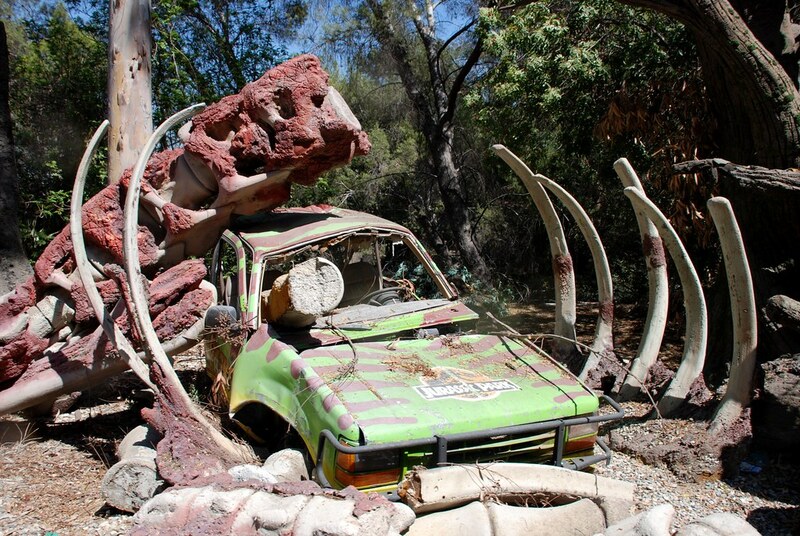 Though this sounds like the beginnings of a possible theme park, the reality is far from it. Scientists can't even tell what kind of dinosaur the tick fed on, only that it was a dinosaur because the amber dates to the mid-Cretaceous period. Unfortunately for your dreams but fortunately for humanity's safety, the tick failed to produce the DNA needed to clone a real dinosaur. So What Does 'Jurassic Park' Get Right? Before this list turns you against Jurassic Park, be sure to give credit where credit is due. For all their errors, the movies got a few things right. For one, the dinosaur eggs shown in the movies resemble eggs discovered by actual paleontologists. The cannibalism depicted in the movies is also accurate; thanks to fossil records, experts know dinosaurs of the same species fought with and killed each other. Though people will probably never know if dinosaurs talked to each other, it's likely that they did. Considering that birds are dinosaurs' closest living relatives, one can hazard a guess that dinos, like birds, lived as vocal creatures. Furthermore, experts do want to use genetics to potentially create new dinosaurs, but instead of using preserved DNA, they want to manipulate the genes of the dinosaur's ancestors like chickens to create a "chickenosaurus." Sounds like a great idea.